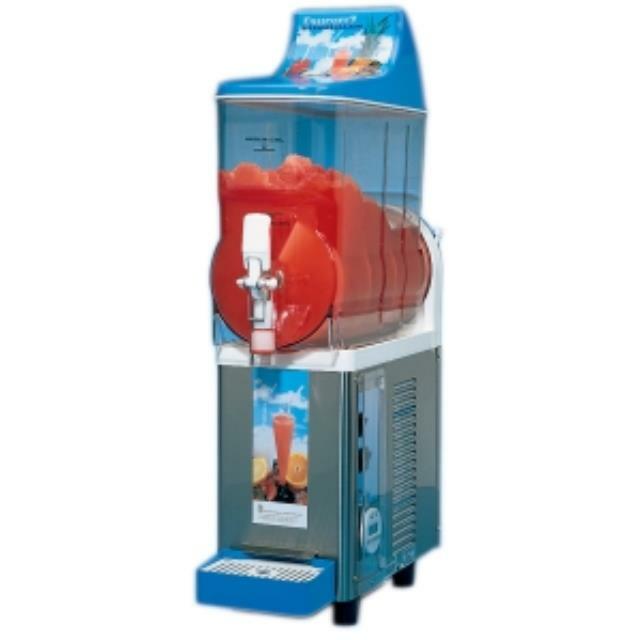 Keep the drinks flowing to serve up a profit with a frozen drink machine! The Compact Single-Bowl Frusheez #1416 has easy prep allowing the machine to do most of the work. The frozen drink machine has a smaller foot print, using 30% less space than traditional machines. It is energy efficient, lightweight and features a bowl capacity of 1.5 gallons. The Frusheez drink machine can serve your blended favorite at restaurants, colleges, bars and more. * Please call us with any questions about our frusheeze single bowl in Hammond LA.